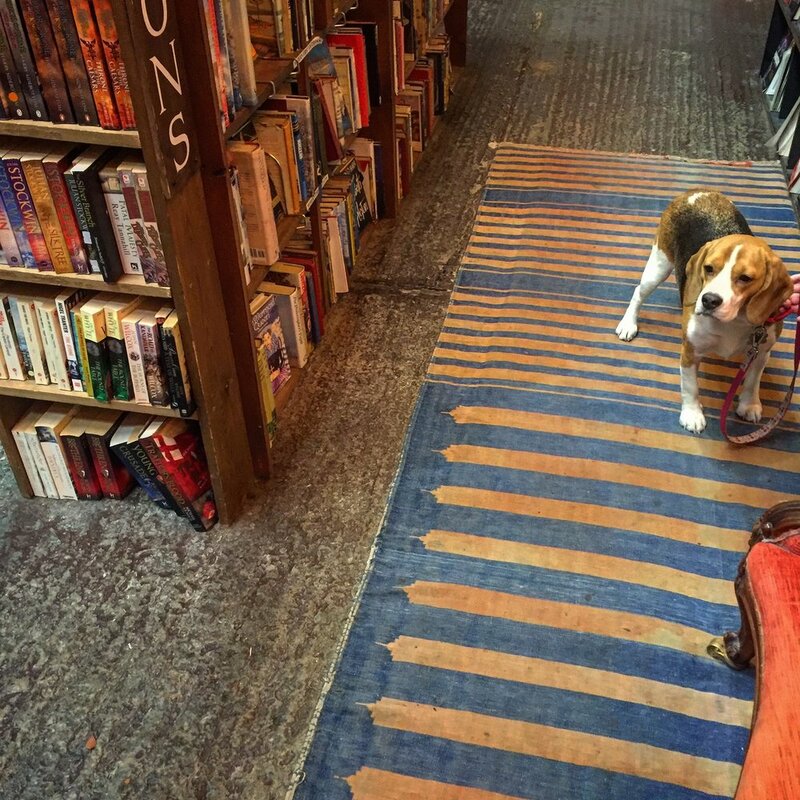 Located in an old Victorian railway station, Barter Books is a magical and enchanting space that looks as though it could be from a film set. It is one of the largest and most unique second hand book stores in Britain. It's quite unusual to find a station of this size and grandeur in a small market town such as Alnwick but historically it was deemed necessary to impress visiting royalty due to the Duke of Northumberland's local presence. Spanning 7 rooms you will find row upon row of book shelves covering every topic imaginable including cabinets containing first editions and very rare and valuable collectors items, a children's toy room, cafe, cosy fireplaces, comfy armchairs lots of four legged friends and a miniature railway chugging along overhead. There's a station buffet serving a selection of hot food, sandwiches (the sausage sandwich with marmalade relish is a great choice!) 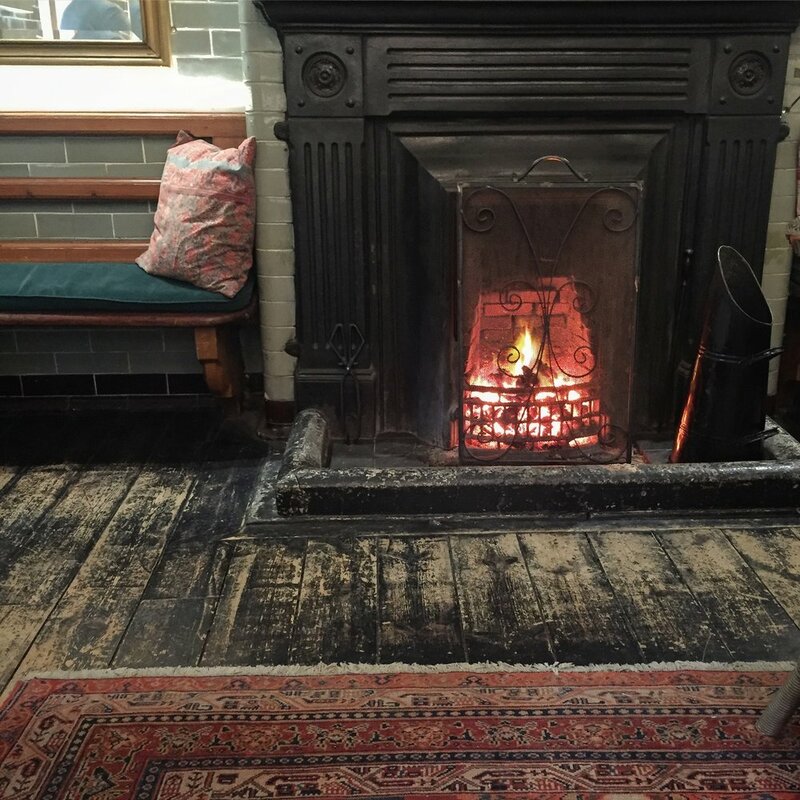 cakes, teas and coffees and you can find a nesting spot in one of five comfortable rooms, my favourite being the old waiting room. Barter Books is also responsible for the commonly recognised 'keep calm & carry on' slogan which gained world wide popularity after an old poster was unearthed here at the store. I love this place, it has so much personality and I urge you to visit if you ever find yourself in the area!